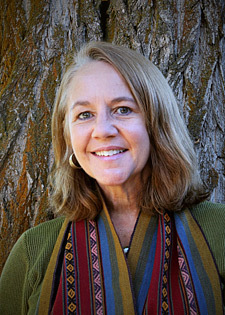 Sheilah Robertson BVMS, (Hons), Ph.D. 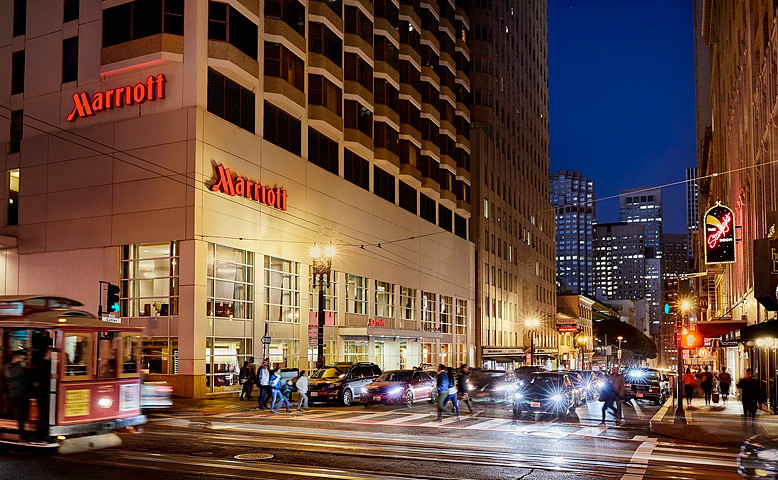 Combining luxury and convenience, the San Francisco Marriott Union Square invites guests to experience exceptional service in ideal accommodations. Sitting on the corner of Sutter and Powell streets, our Union Square hotel is just steps from world-class shopping, restaurants, bars and the theater district. 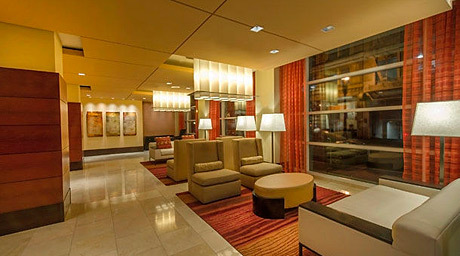 Being in the heart of downtown, our San Francisco hotel allows business travelers to walk to meetings at the Moscone Center or in the Financial District, while vacationers can enjoy lunch in Chinatown and catch a game at AT&T Park, home of the San Francisco Giants. 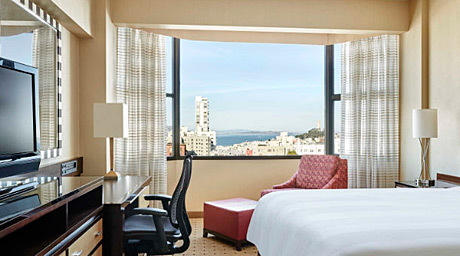 Our Union Square San Francisco hotel offers 400 guest rooms, including 53 suites with phenomenal views of the bay and city skyline. 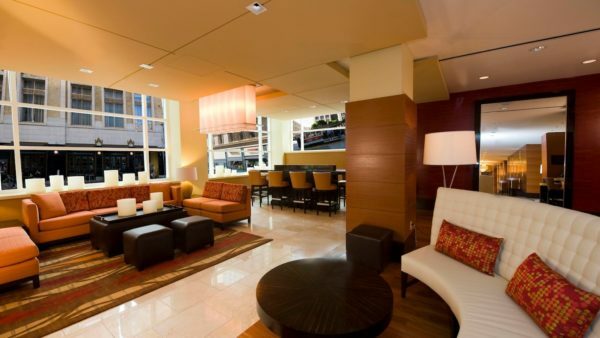 Whether here for work or play, come experience the charm and sophistication of our San Francisco hotel. If you are a Marriott rewards member- complimentary daily internet access in all our sleeping rooms. Otherwise $1.00 per day for wifi. Valet parking only: $59.00 plus tax daily. Parking rates are subject to change without notice. This hotel has a 100% smoke-free policy. Cancellations: There is a one night charge if you cancel within 14 – 7 days prior to your scheduled arrival. You will be charged for the complete stay if you cancel within 7 days of your scheduled arrival, are a no-show or depart early. For cancellations, date changes, or special requests, please contact IVS. Explore AT&T Park – enjoy a behind-the-scene tour. Bite into decadent treats at Ghirardelli Square and walk through the old chocolate factory. Make memories visiting the world-famous San Francisco Zoo and get up close to exotic animals. Check out the world famous Alcatraz Island. Start the day off right by enjoying a hearty breakfast from our hotel’s on-site Union Square restaurant open 6:30 a.m. to 11 a.m. Monday through Friday and 7 a.m. to 11 a.m. Saturday and Sunday. Enjoy specialty cocktails accompanied by delectable dishes at bin480, right inside the lobby of our San Francisco, CA, hotel. 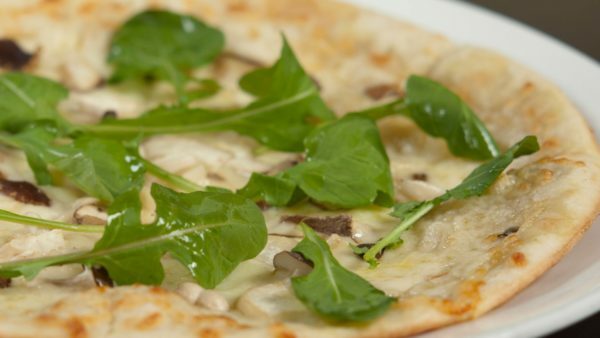 Wind down after a long day in our Union Square restaurant without even leaving the hotel. 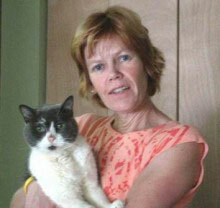 GO Lorrie’s Airport Shuttle; fee: 15 USD (one way) ;on request, please contact Marriott. Super Shuttle fee (approx): $25 (one way); reservation required, please contact Marriott. There is a one night charge if you cancel within 14 – 7 days prior to your scheduled arrival. You will be charged for the complete stay if you cancel within 7 days of your scheduled arrival, are a no-show or depart early. For cancellations, date changes, or special requests, please contact IVS.